Being a vegetarian in Vietnam takes a bit of prep. Knowing the right way to ask for what you need will make your food mission không sao (no problem). Hoi An was no doubt the highlight of my veggie voyage. 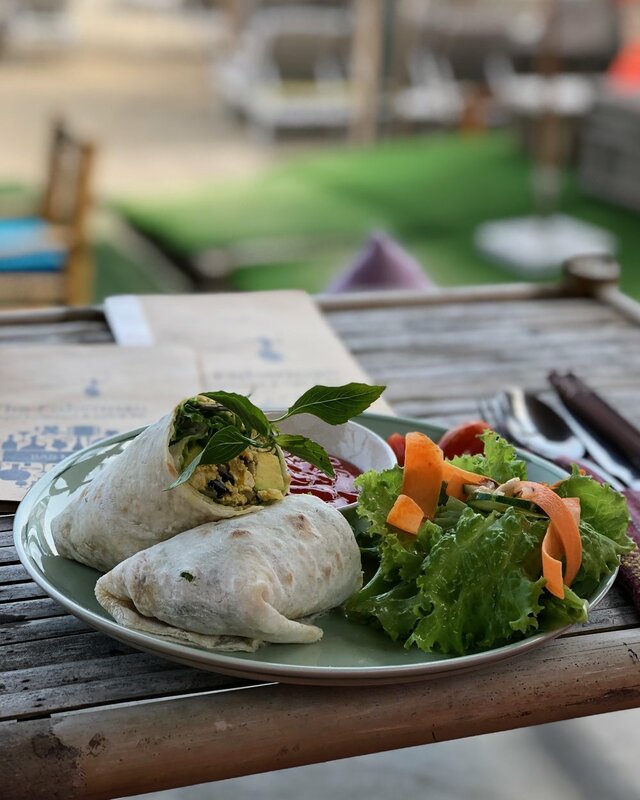 This charming city on the central coast of Vietnam offers a variety of delicious restaurants with plant-based options. First up, my favourite place for bargain vegan noms. Ba Dam is a local restaurant located on a tiny alleyway of Hoi An’s ancient town. Served buffet style, you simply point at your picks and fill up a plate. Depending what time of day you visit, the selection ranges from 10 - 30 different dishes of meat-free mixtures. Morning glory, spring rolls and pulled jackfruit cover the local cuisine while sautéed veg, mock meats and veggie burgers suit a more Western palette. I never quite figured out the pricing structure here, but nonetheless it was always a sweet deal. My dinner plates ranged from 30,000 - 70,000 VND. My mouth is watering just thinking about this place. Minh Hien was one of my first finds for Vegetarian wins. This place ranks super high on Google and lives up to expectations, if not exceeds them. Minh Hien’s menu is gigantic. It’s organized by main ingredient with a page for tofu dishes, eggplant, green veggies, curries and rice dishes. There are a couple different locations within old town, with cute decor and super accommodating staff. It might seem random to post a photo of green juice, rather than any of the food at Karma Waters, BUT let me assure you that it sums up the way you feel after eating here. G-L-O-W-I-N-G. Karma Waters is an admirable concept created by a family of Vietnamese Vegan activists. 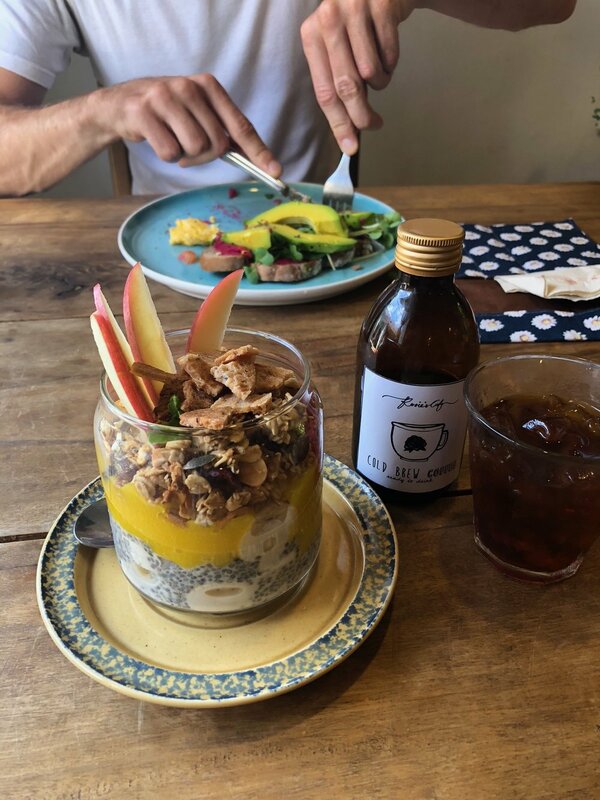 With two locations, (Hoi An & Da Nang) Karma Waters prioritizes healthy living, sustainability and conscious consumerism. According to their website, the restaurant operates as a “commercially viable not-for-profit cooperative." The lovely ladies that run the shop in Hoi An offer cooking classes and are happy to educate their guests about the vegan lifestyle. Karma Water’s wonderful staff also participate in charity work including food distribution to the local community and hospitals. How’s that for good karma? Credit to my friend Jordan for finding this one - however I have so much rage I didn’t find it earlier. Rosie’s is tucked away down a small alleyway in Hoi An’s Ancient old town. Rosie’s is absolutely adorable. Their signage, their plating, the cute little gift shop - it’s all swoon-worthy. You can find adorable handmade goods for purchase including jewellery, artisan spreads and artwork in “Rosie’s corner.” This little gem also crafts their own cold brew coffee and supports fellow local business by selling products like dark chocolate and granola. Standout Dishes: This delicious chia pudding delight and multigrain toast with beet hummus and avocado. Yep, so I saved the best for last. I almost teared up when I saw the menu at the Fisherman. Let me start by setting the stage for you. After a lovely bike ride through the centre of Hoi An, you arrive at An Bang beach. This popular tourist spot is one of the more packed stretches of Hoi An, however that doesn’t by any means dissolve its beauty. After parking your bicycle, you turn down a small alley and stroll past a couple of typical beachfront seafood restaurants. Then, an absolute enigma appears. “The Fisherman - Vegan restaurant,” reads the sign. Oxymoron? Yes, and I like it. As the menu state, the story goes that a lovely local Fisherman once owned this restaurant. The old man became educated in the not-so-kosher fishing practices of modern day and realized he could no longer morally justify his trade. While I no longer have the menu in front of me, some series of events (I’m assuming a Western partnership based on the atmosphere and concept) led to the creation of this unbelievable vegan grub hub. The space itself is stunning. Directly facing the ocean with bright pink bean bags, hammocks and swings. You can even order your food to be served directly on a beach bed in the sand. Yep. This is real life. Standout Dishes: Oh my god I can’t even talk about this buddha bowl its so freakin good. Cost: A bit pricier as far as vietnam… 45,000 for startesrs 70,000 - 130,000 for mains.